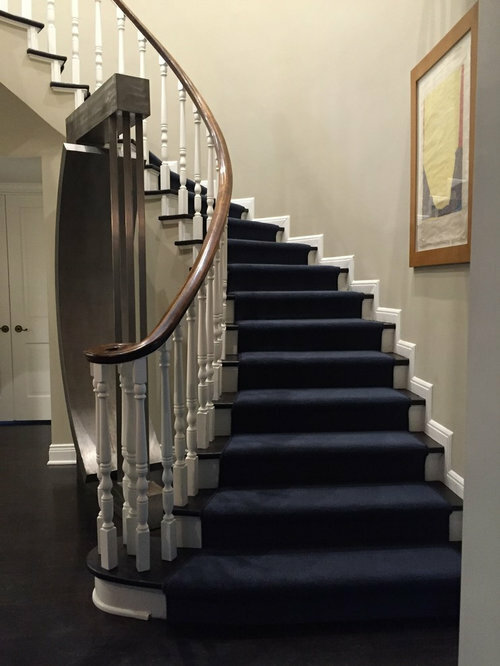 Wool stair runner with serged edges. 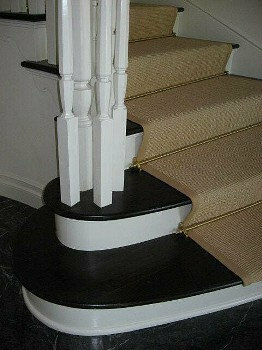 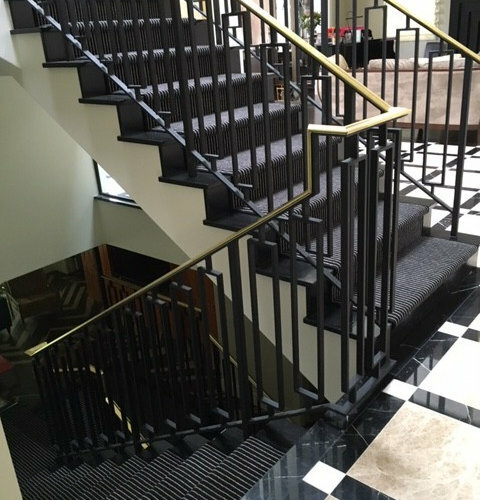 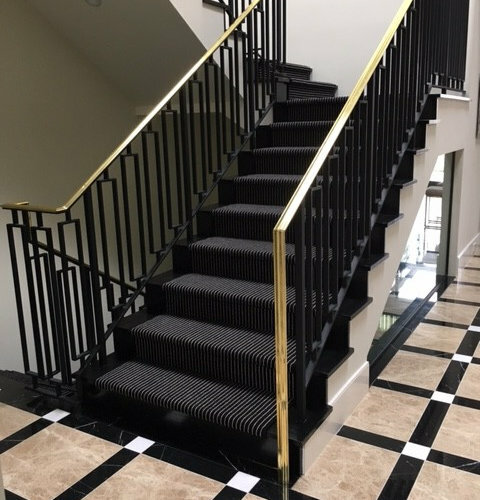 Beautiful stair runner with decorative stair rods. 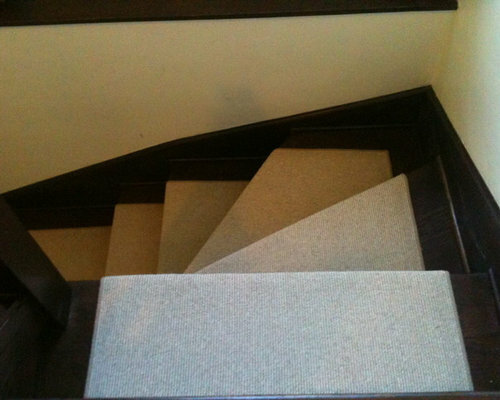 Runners are like jewelry for your stairs-- they become a focal point for the entry-- gorgeous! 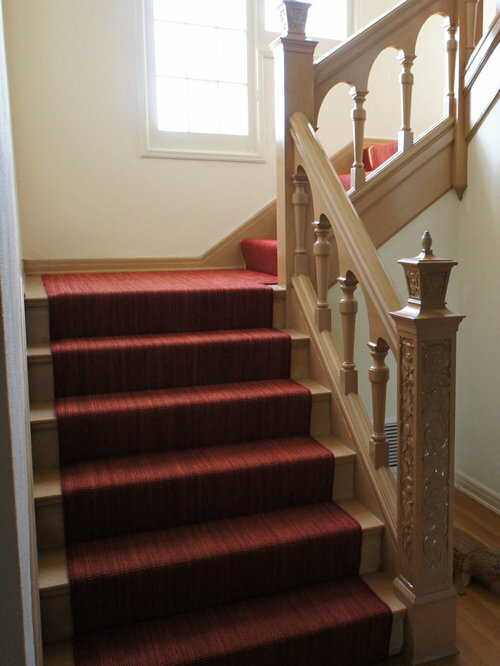 Beautiful striped runner on a traditional stair-- the dramatic red plays nicely against the natural wood floor. 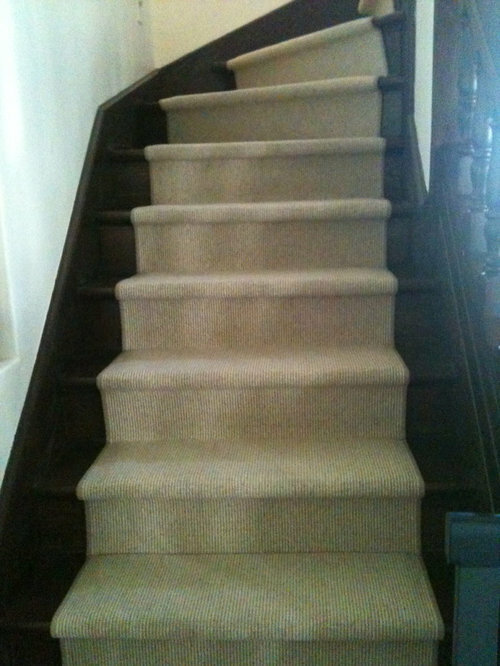 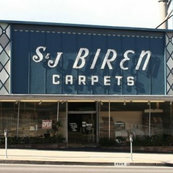 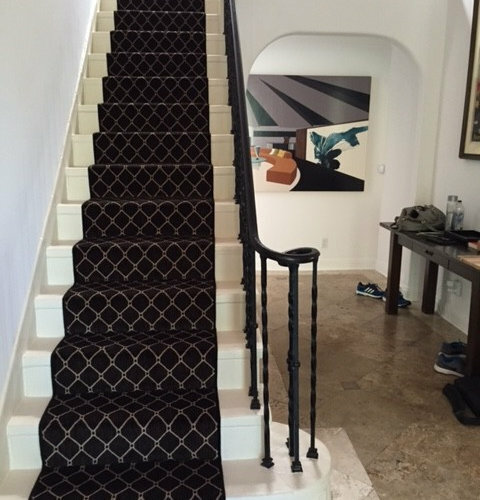 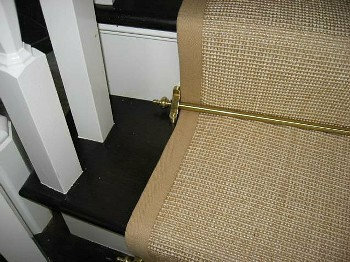 The homeowner wanted a runner that lightened up the floor-- it is made of a subtle stripe wool carpet. 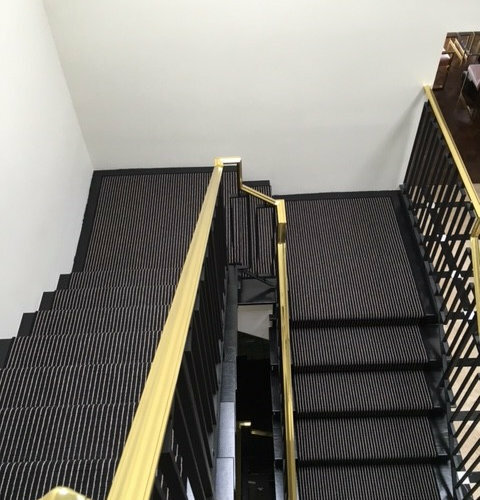 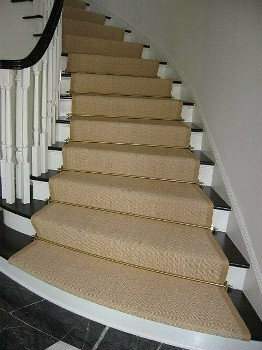 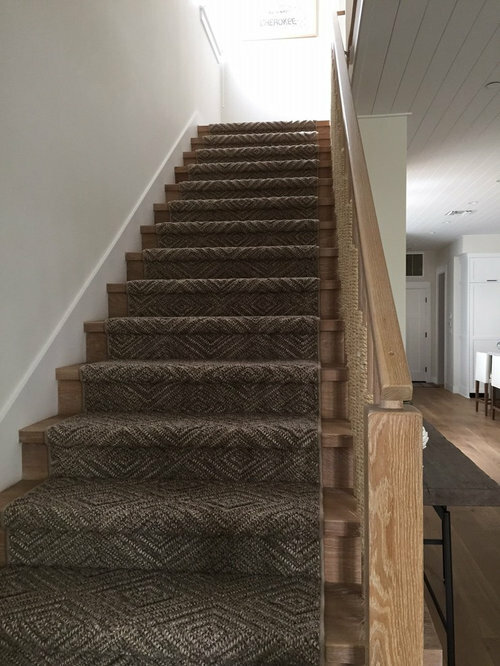 Whenever making a stair runner, especially one so light in color it is always a good idea to order enough to redo at least a few stairs down the line-- inexpensive and good insurance!